After three stalemates in the past two weeks, Liverpool fans are frustrated at the lack of creativity in the team’s midfield. It looks as if the Anfield club is missing Philippe Coutinho’s magic in midfield. Klopp’s decision to not sign a proper Coutinho replacement might come back to haunt him if Liverpool does not manage to win the league this season. After failing to sign Nabil Fekir, Klopp turned his attention towards signing Alisson and hence did not pursue anybody to fill in the ‘Little Magician’s’ boots. 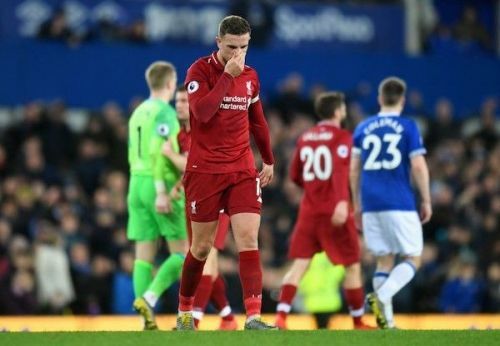 With Liverpool dropping points through draws since the start of the year, it looks as if Klopp will be regretting his decision at the end of the season. For next season, the German manager must sign a creative midfielder for the club. 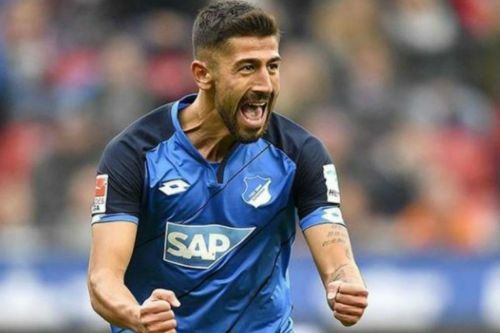 Hoffenheim’s Kerem Demirbay would be a perfect fit in Liverpool’s system. The German midfielder is the ‘David Silva’ of the Bundesliga. He is very similar to Manchester City’s Spanish wizard. This season, Demirbay has scored four and assisted four and has earned a WhoScored rating of 7.52. The Hoffenheim midfielder is having a phenomenal season. Averaging 2.2 shots and 2.9 key passes every game, his numbers are even better than David Silva's. Averaging 2.1 successful dribbles every game, the midfielder is one of the best dribblers in Bundesliga. Demirbay is a direct set-piece threat. He has a knack for scoring goals from direct free-kicks. The 25-year-old has a good shooting accuracy and hence is a threat from long distance as well. He is one of the most complete midfield players in the Bundesliga. The German midfielder likes to track back and tackle the ball. Tackling is one of the key strengths in his game. Just like David Silva, the German possesses a great vision to find the right passes. He is quite calm on the ball and does not hesitate to put in long balls in an attempt to de-organize the opposition’s defence. For Klopp and Liverpool, Demirbay ticks all boxes to be the creative midfield player that the team needs. His completeness will add to the balance of the squad. The 25-year-old German would add to Liverpool’s quality in the attack along with Mohammed Salah, Sadio Mane and former Hoffenheim star Roberto Firmino. His creativity would be the final piece in Liverpool’s midfield jigsaw and make it one of the most complete midfields in the world. The 25-year-old’s quality would add to the squad’s depth and help Liverpool reach Manchester City’s level. For Demirbay, playing at Anfield would be like a dream come true. The intensity of the Premier League would help him develop and make him a better player. Playing under one of the best coaches in world football, the 25-year-old midfielder will be destined to thrive under fellow German while playing alongside world-class players would help him take his game to the next level. The underrated German midfielder would be a bargain signing for Klopp in terms of the quality he will add much needed creativity and spark to the Liverpool side.